MKE Urban Stables offers a unique opportunity to achieve three goals at once – a much needed home for the Milwaukee Police Department Mounted Patrol, a center for trauma-informed equine assisted therapy in the City of Milwaukee, and a platform for police/community relations using horses as a citywide draw. Milwaukee Police Department Mounted Patrol will have several pressing needs addressed by the Stable. Currently MPD houses its patrol horses in Racine County; having them at a centralized location will reduce the transportation time to Milwaukee neighborhoods and stress on the horses. The MPD will increase the number of mounted patrol horses from eight to twelve, allowing MPD to manage two shifts. Daytime shifts will focus on community interaction with evening officers providing crowd and patrol services. Community Outreach is an important goal of MPD. The relationship between police officers and community members is a subject of growing importance. Today the MPD does not have space with an approachable atmosphere for building relationships—a place where MPD can build positive relationships with the members of the community. The MKE Urban Stables will be that space. Equine-Assisted Therapy helps people with emotional disabilities, such as PTSD and anxiety. With a primary goal of treating trauma, Milwaukee Urban Stables will focus on equine-assisted therapy. In equine-assisted therapy, a person may ride the horse or simply work with the horse from the ground, such as grooming or feeding it. Often, they are accompanied by a mental health and/or horse professional. In the early stages of the program treatment will be focused on veterans and students from selected MPS schools. 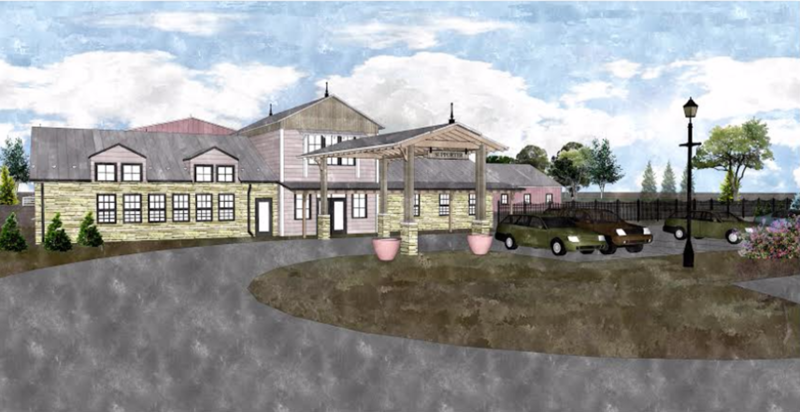 Project Cost: The current estimate of total construction costs for the Stables project is $5.65 million, with a little over $5 million (88.5% of the total) secured to date, including our Club’s $250,000 pledge. Fundraising efforts are ongoing for the balance of construction costs, with strong prospects identified. Project Timeline: Construction of the Stables facility is planned to start in March 2019, with the Stables anticipated to open in early 2020. The health of the horses will be monitored through a partnership with the University of Wisconsin, School of Veterinary Medicine.